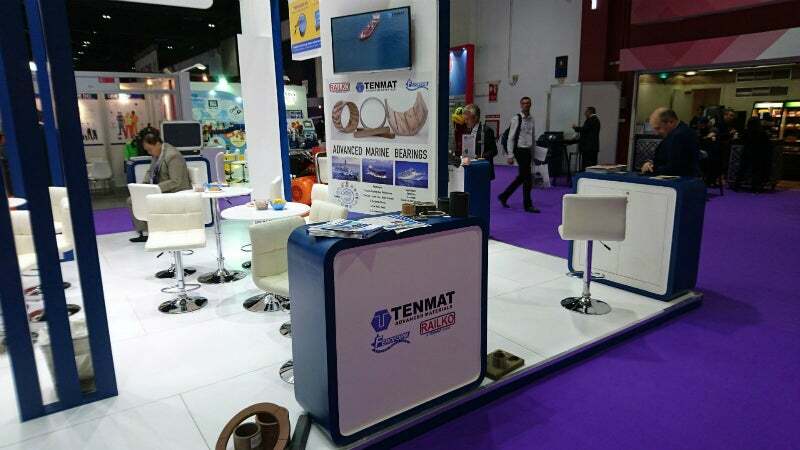 TENMAT is proud to be present in the biggest maritime exhibition of the middle east and announce our new alliance with M.I.E. Overseas, covering Cyprus, Israel and the Middle East. Come and see us at Stand L13. We will be displaying samples of our RAILKO and FEROFORM Marine Bearings approved by all major marine classifications and specified by over 35 navies around the world. We look forward to seeing you at the Dubai International Convention and Exhibition Centre.